The price of solid state drives, or SSDs, have been reducing steadily over the last few years as they have become more mainstream and older, spinning discs have become less popular. 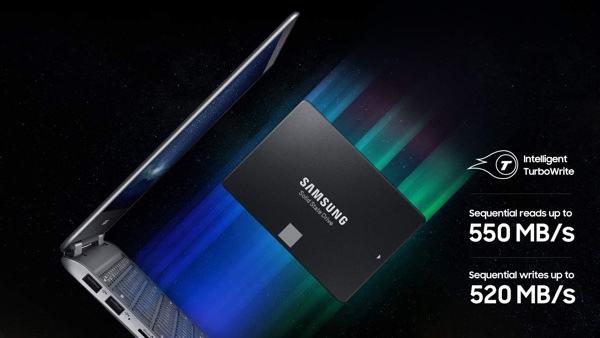 That’s led to some previously costly, high performance drives becoming ever-more cost effective, and the Samsung 860 EVO is a prime example of that notion. Right now it’s even cheaper than normal, too, thanks to the folks at Amazon. The deal as it stands currently is a super inexpensive 500GB drive with an additional 5% removed if you clip the on-screen coupon which, for us at least, was automatically clipped anyway. That brings the price down to less than $69 which is a price not to be missed. The drive itself is roundly accepted to be a great one for anything from a gaming PC to an older Mac that needs a little speed boost. Samsung covers its EVO drives with a full five-year warranty, too, so you shouldn’t have any concerns in that regard. People who own these drives love them, with a rating of 4.7 stars from over 2,600 reviews. That’s a pretty good sign! If you’re into your numbers, this SATA drive has read and write speeds of 550MB/s and 520MB/s respectively, so if you’ve been stumbling along on an old platter drive, you’re going to love the speed that this thing affords. We’ve seen SSDs falling in price a lot of late, and long may that continue. Nobody should have to use a computer with a spinning drive inside it anymore, especially as we set sail on the good ship 2019!